Have no fear! If you've accidentally deleted a page, you can reinstate it just as easily. Notice at the top of the 'Content' management screen, there is a button called 'Show Deleted.' 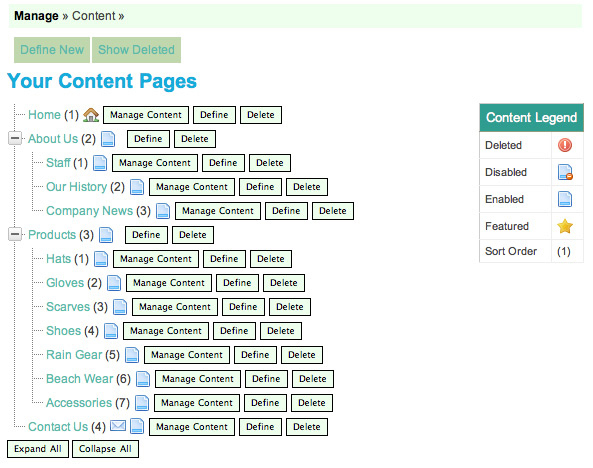 Clicking that buttons shows you all of your previously-deleted pages within your site's navigation. The deleted pages will have the deleted icon (shown in the Content Legend on the right) next to them to help you tell the difference between those pages and your live pages.